We are excited to celebrate our young patients by encouraging them to keep healthy dental habits and proudly support this year's campaign "Choose Tap Water for a Sparkling Smile." Posted on February 4, 2017 by rachel pelaia and filed under dental care tips. School sports are in full swing and with any sport comes the risk of injury. Posted on October 11, 2016 by rachel pelaia and filed under dental care tips. October is National Dental Hygiene Month, Take Action! We are proud to celebrate National Dental Hygiene Month and encourage you to brush, floss, rinse and chew. Posted on September 30, 2016 by rachel pelaia and filed under dental care tips. With the festivities of Halloween come endless celebrations, bobbing for apples and pumpkin decorating contests. Posted on September 20, 2016 by rachel pelaia and filed under dental care tips. Did You Know Food in Your Teeth Can Wreak Havoc? With upcoming spring and summer vacations, don't let an easily corrected issue like food removal keep you from healthy, happy smiles. Schedule your appointment today! Posted on June 2, 2016 by rachel pelaia and filed under dental care tips. Even in our thirties our wisdom teeth can often require extraction, and pain isn't always an indicator of a problem. Posted on April 21, 2016 by rachel pelaia and filed under featured service, dental care tips. Children’s health is so important, the entire month of February is dedicated to educating young patients on the importance of maintaining good dental habits to keep clean, healthy teeth their entire lives. Posted on January 11, 2016 by rachel pelaia and filed under dental care tips. 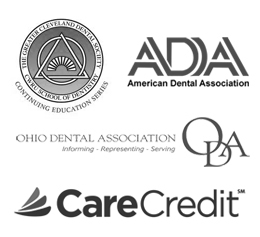 Our practice is proud to work with entire families to support healthy dental habits. Posted on December 20, 2015 by rachel pelaia and filed under dental care tips. This is the month for planning endless resolutions for the upcoming year. Don't forget your commitment to dental care! Posted on December 16, 2015 by rachel pelaia and filed under dental care tips. National Children's Dental Health Month is a good time to review your kids' oral health care. Posted on January 15, 2015 by Julie Hill and filed under dental care tips. Sign up for our email to receive dental care tips, news and announcements.